This is an FX format lens with a medium range of 85mm, fixed focus, and with a fast f/1.8 aperture that is very sharp at the corners as well as the middle of the frame. This being a G lens loses the aperture ring on the body and has a built-in focusing motor designed for the new generation of AF-S bodies. 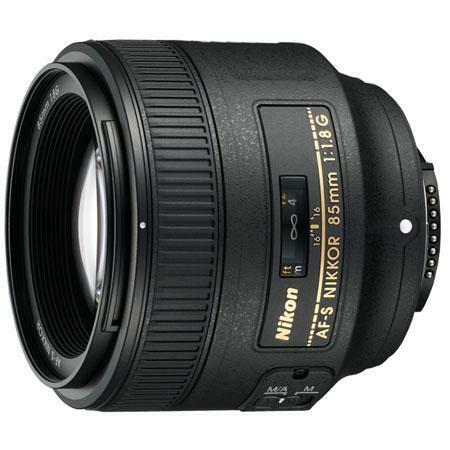 The lens cans auto-focus even on some of the cheapest DX format DSLRs that Nikon has launched. The major USP of the lens is the sharpness and the wide f/1.8 aperture that can take in a lot more light and ensure that the lens delivers good results in dim light as much as in normal lighting conditions. The lens diaphragm is made up of 7 straight blades. The wide aperture enables users to shoot beautiful portraits with blurring the background. It has a number of Nikon’s latest technology including Internal Focusing, which ensures that the lens never extends when focusing is engaged, SWM (Silent Wave Motor) for silent auto-focusing, M/A for manual over ride when shooting in auto-focusing mode and Super Integrated Coating (SIC) which is Nikon’s way of saying that the lens is multi-coated. Diameter x length(extension from lens mount) Approximately 80 x 73 mm/3.1 x 2.9 in.